With three detection zones as standard, extinguishant release can be configured to activate from any combination of detection zone inputs to allow (among other combinations) any two from three type activations such as would be required for detection in ceiling void, room and floor void applications. The extensive configuration options of the Sigma XT allow the functionality of the system to be extensively modified while still complying with the requirements of the controlling standard for the equipment (EN12094-1, EN54-2 and EN54-4). 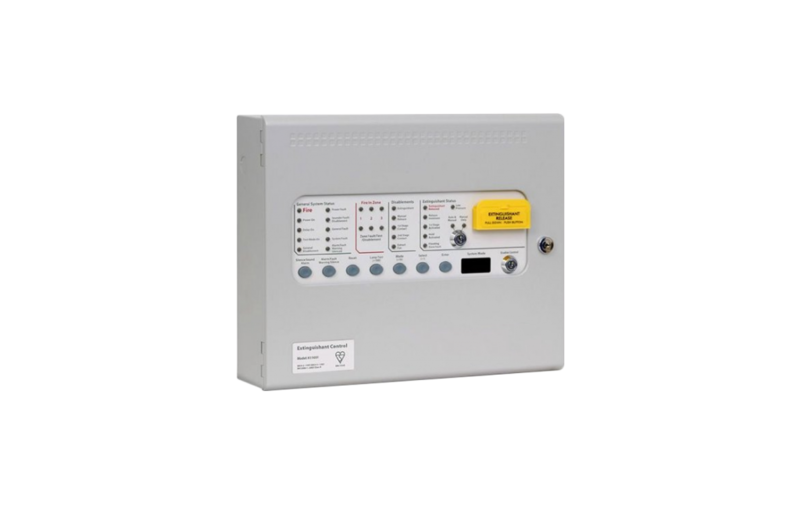 The panel contains a large LED display to enable easy configuration and control which also displays the time remaining until extinguishant release for added user safety. The countdown timer is duplicated on up to seven remote status units to provide local indication of the extinguishant system status. With all of the electronics mounted on a single, easily removable, steel plate Sigma XT panels are both robust and easy to install. Sigma XT is supplied in an enclosure that matches the design and colour of the Sigma CP range.